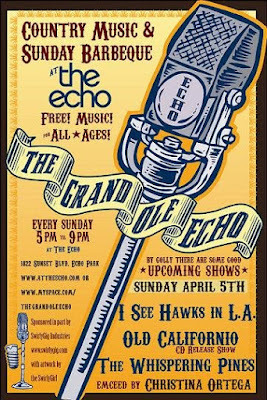 Another Hollywood live music venue that I enjoy supporting is The Grand Ole Echo over at the Echo, a cool club in that hipster neighborhood Echo Park. The GOE kicks off it's new season today. 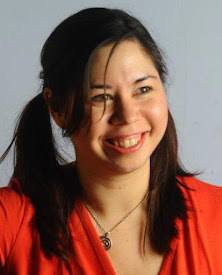 My friend Christine Ortega will emcee today's big event and sing a few tunes too. The show will feature: Old Californio releasing their new record, Whispering Pines opening and the pride of the Golden State, I See Hawks In LA closing the night. In between sets, head outside to the back porch for burgers on the grill and live acoustic music from banjo player Tommy Santee Claws. The GOE is a free all ages show held every Sunday from 5 - 9 pm through the end of summer at The Echo, 1822 Sunset in Echo Park.